What does it mean to delight in the Lord? Christians are meant to be happy people. But happy in what? Ourselves? Our bank account? Our family? Our educational and career attainment? None of these are wrong in themselves if they inspire happiness in us. Delight is deeper than happiness. The latter can be influened by circusmtances, the former has deep roots in the Object of our joy. I love my wife dearly. I cherish my daughter. They mean the world to me. Why? We are connected in a way I can never be with others. We share a unifying bond. To delight in the Lord is to be connected to Him. All delight must begin from a spiritual (personal) connection with God; there’s no other way — John 15:4. God has done everything possible to make the pairing between you and Him possible. The responsibility to make the connection is yours. To delight is to be connected to the Object of our freedom and salvation. What you treasure reveals where your heart is. The treasure of your heart controls and rules you. To treasure is to esteem something or someone above others… to consider precious more than others. You can’t do without what or who you treasure. “For where your treasure is, there your heart will be also” – Matthew 6:21. To delight in the Lord is to treasure Him above all else. Literally! God cannot have competition in our lives. Is your heart on God, right now, always, evermore? When you experience a genuine awe moment, you want to live in the moment forever. Each time I travel, what I see in the sky is utter awesomeness. I’m blown away by the beauty up there I wish the pilot would pause each time and allow me linger some more to take in the sight. All that awesomeness are the works of God and He is more precious to behold than the beauties in the sky. 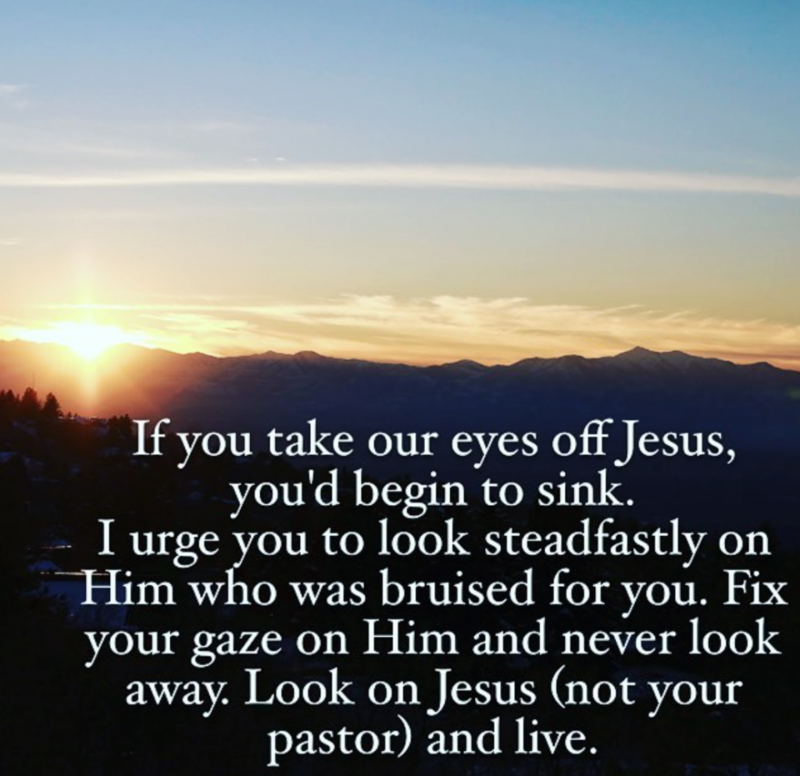 The question is – are you looking, seeing and beholding HIM? Moses lingered enough to catch a glimpse of that glory in Exodus 33 and 34. To delight in the Lord is to look, behold and experience the beauty of His holiness and grace. All connecting, treasuring and beholding is incomplete without embracing the Object of all delight. To delight in the Lord is to embrace Him for who He is, not what He gives. That is why, for Christ’s sake, I delight in weaknesses, in insults, in hardships, in persecutions, in difficulties. For when I am weak, then I am strong — 2 Corinthians 12:10. Ultimate delight is not a factor of our moods, feelings or even life experiences but of our hearts seeking His glory — irrespective of what life deals us. Our delight in the Lord is the work of the Holy Spirit in us (Galatians 5:22). If our hearts are right with God, His Spirit births a deep embracing of the Object of all delight. Question: In what practical ways do you delight in the Lord?